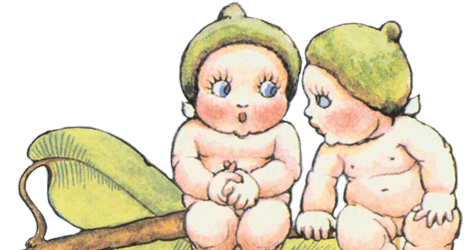 Spineless Classics Australia have designed two very special pieces of art in celebration of the 100th anniversay of May Gibbs’ Gumnut Babies. Taking the entire text from two of May Gibbs’ most loved books, Gumnut Babies and The Complete Adventures of Snugglepot and Cuddlepie, they have created these beautiful designs perfect for fans of May Gibbs stories, young and old. Each design is a single sheet at 500 x 700mm. All Spineless Classics book posters are printed on heavyweight paper in sharp, lightfast ink which will not fade and have been designed for easy framing.